Flower gardening is overwhelming. Come winter, there are a good number of plants that bloom beautifully and can enhance the splendour of your garden. These flowers are annuals, meaning they need to be planted every year. These stunning flowers are prized for the brilliant colours they add to a landscape. 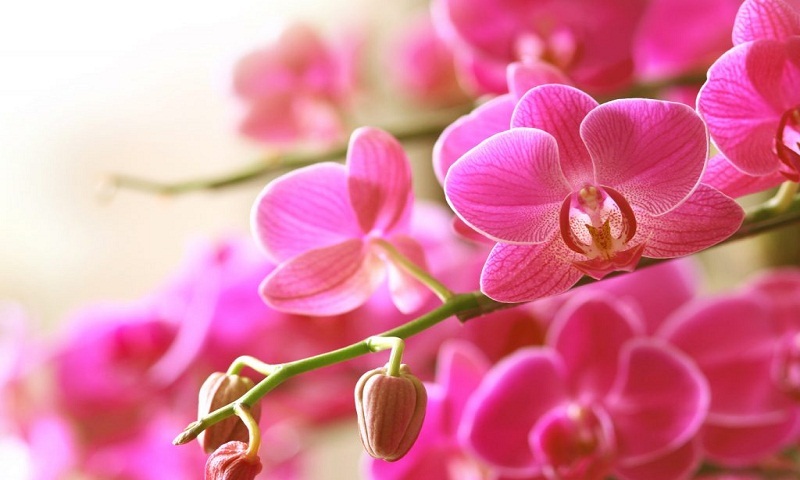 Who does not like lovely flowers full of freshness and liveliness? They present a delightful sight for our mind, body and soul. Although some winter flowers may be identical in their colour or shape there are no two floral scents that are exactly the same. Learn about a few gorgeous flowering plants that come in a wide range of colours and are easy to grow and propagate. English Marigold: The vibrant white, yellow and orange hues of the flowers add to the attractiveness of any garden. The sunny appearance makes them famously used as ornamental flowers. The flower can be used to treat and alleviate various ailments. This decorative flower is now cultivated widely across India especially in Calcutta. Because of its magnetic charm, it is used in all kinds of rites and rituals. The first impression of these flowers in your garden is beyond your imagination. Dianthus: This flower steals the show anywhere or everywhere it is planted. It fills the garden with its sweet scent and offers pretty blooms in shades of pink, red and white. It needs full sun and well-drained soil to thrive. Its height is around two feet tall. This plant produces beautiful clusters of fragrant blooms in early winter. The flower attracts hummingbirds and butterflies. Holly Hock: Among the tallest of the perennials, Hollyhocks bear flower spikes up to eight feet tall. They bloom in a wide range of shades – from nearly black to red, purple, yellow and white. It grows in full sun and well-drained moist soil. It rises four to eight feet high, depending upon the variety. Pansy: Make your garden a dizzying array of two-toned flowers. Pansies can be planted in one mass colour or thrown together into a mix resembling scattered skittles and they will reward you with incredible displays of colour. It will look like somebody has dropped a few dozen crayons in your yard. The flower has four petals facing upward and one petal facing downward. The astounding array of colours and patterns available in pansies can be traced back to wealthy landowners and their skilled gardeners. Aster: Aster is a very beautiful part of garden flowers. They are adaptable, daisy-like flowers with peak bloom season in cold weather. They are daisy-like yellow centred and exquisite flowers. They bloom in a rainbow of colours like white, velvety red, hot pink, silky lavender, bright purple, dark blue etc. Asters provide a happy atmosphere to the surroundings in dull and dark winters. Clarkia: Plant Clarkia in cool weather. It thrives in moist and well-drained soil. Flowering will be reduced in a hot season. Crowding Clarkia plants may increase flower production. It is easy to grow and requires full exposure of the sun. Clarkia grows to a height of less has 1.5 metres. The flower has four sepals and four petals. Today, there are over 40 species of Clarkia, all native to North America except the one that is native to South America. Alyssum: This flowering plant may help save your vegetable garden from aphids and other harmful bugs. Tolerant of any soil, sweet Alyssum will prefer only moderate moisture and good drainage. The gorgeous plant comes in a range of pink and purple colours. It belongs to the mustard family which probably explains its strong fragrance. Trim it immediately after blooming to ensure the plant’s longevity. Snapdragon: Super dragon blooms profusely throughout cold months in bright colours. The flower starts blooming at the bottom of the stalk and works their way up, making for a long period of bloom. They stop blooming in warm weather. The plant comes in a wide range of hues and heights. The flowers come in just about every shade, except blue. Some of the tones are vibrant bolds and some are soft pastels. It grows well in full sun and a neutral soil pH between 6.2 and 7.0. Choose those flowering plants that show off their beauty in winter. The soil should be of good quality having all nutrients required by the plant. This soil is what your flowers need to be healthy. Choose the right location as most flowers thrive in full or partial sun. Make appropriate arrangements to keep pests and insects at bay. Pick varieties that will be happy in your area and give them plenty of sunshine. Flower gardening is fun, so ease, pleasure and contentment into it. Knowing how and when to prune plants will keep your flowers happy and healthy. However, there is always room for improvement and new ideas. Every winter comes with new flowering plants and techniques to embrace. Do not fear flowers. They are a fantastic addition to any garden and you will be delighted with every bloom. Sit back and adore the natural beauty of your garden with colourful blossoms!